Over a decade of servicing Party Rentals Honolulu, we are your reliable and quality source on Oahu. We deliver Island Wide and service any type of Event: Weddings, Baby Showers, Graduation Parties, Cooperate Events, Project Grads, Summer Fun events, we do it all! Aloha and Welcome to A & B Party Rentals Honolulu! Over 12 years in business servicing Party Rentals Oahu, we have grown into our large selection of Inventory to fulfill all of your Events needs. We do all types of Events; 1st Birthdays, Baby Showers, Weddings, Fundraising Events, Church Events, Public Events, School Events, Cooperate Parties, Graduation Parties, we do them all! Working out of our commercial location in Campbell Industrial, We have the experience with delivering to all areas, island wide. We are very knowledgeable of each areas types of Residences, Parks, Beaches, and Venues. We have the knowledge of the circumstances and suitable fits based on your specific location. We are certified and authorized to set up at any City and County of Honolulu or State of Hawaii Parks. Choosing an inexperienced Business, can easily ruin your entire event! Experience and good service is key for your event to run smoothly, successfully and for your Event to be enjoyable, stress free! 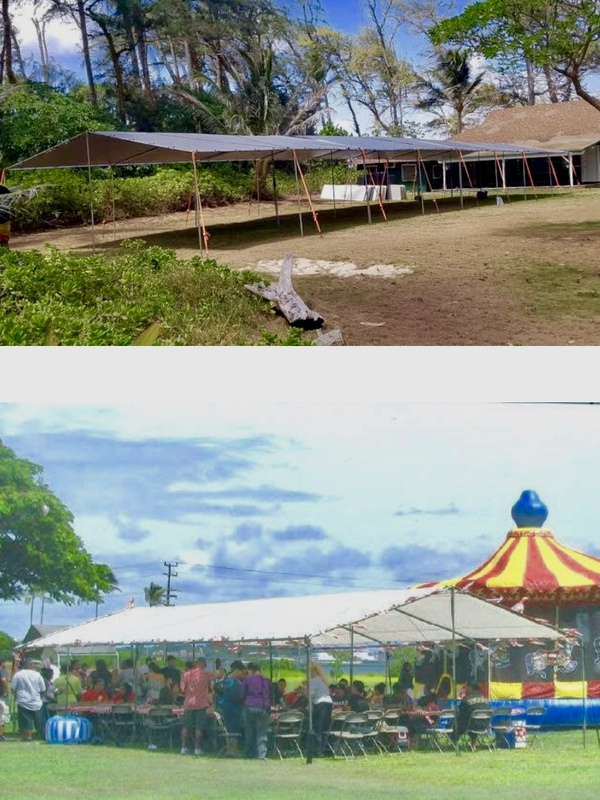 Please browse through our user friendly website to see all your Party Rental Hawaii essentials, such as table and chair rentals, tent rentals, and coolers. Like our page to follow us for our latest news and specials! We accommodate services for tables, chairs and tent rentals based on your exact needs. Choose from any of our popular tent packages or rent ala carte. Come pick it up from our warehouse or order delivery, set up, pick up & breakdown. Cool design, and great size/accessibility to fit & maneuver at ANY venue or location. 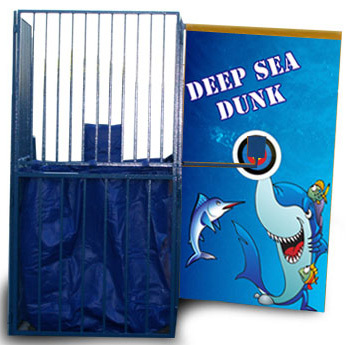 This Dunk Tank Rental breaks down into pieces being able to access any set up area. Great for Schools, Church, Public Events, and even Birthday Parties! Photo booth rentals Honolulu is always a fun activity at your event, at the same time capturing the memories forever! Your guest get to take home pictures printed on the spot. 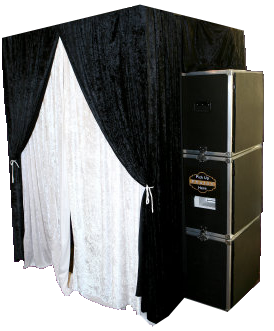 We don’t just have one style of photo booth rentals Oahu, we have several to choose from! 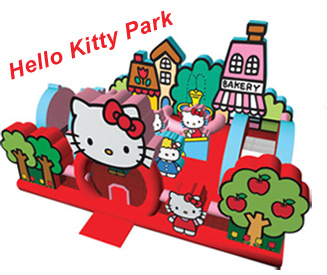 The Hello Kitty Park is a top notch Hawaii party idea for the little ones. Want to be the favorite with the kids? 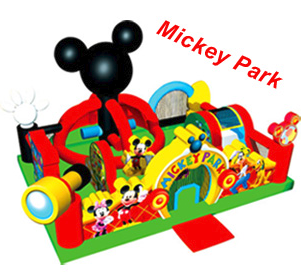 Mickey Park is the way to go for your next event. These Hawaii Party Games are absolutely a great addition to your event. Whether you’re celebrating inside or out, everybody likes to jump into a sumo competition. And the Hawaii inflatable rentals: “Rock Climb” & “Movie Screen” are perfect for outdoors. No one will want to leave your party! These Hawaii inflatable rentals are tons of fun for the family because they’re good for ages 5 to Adult! Let loose and have a blast! Water slide rentals Oahu! Our water slide rentals offer great height for maximum fun and vibrant colors and design to wow your guest! Great for children and even adults, in Hawaii we can do water slides 365 days a year with our perfect weather! We have Great sizes also that can fit in a lot of front or backyards. Choose from many party packages by clicking on Service Packages where our concession part of the package includes attendants to man your popcorn, cotton candy and shaved ice machine rentals for you, along with bouncer rentals, party games, obstacle course, water slide rentals and many other unique entertainment for your event. You can also click on Rental Packages where we have combinations of our fun equipment discounted for you. From there combine that package with one of our tables chairs and tent rentals packages, save & save! Browse through our many unique items like Inflatable Movie Screen Rentals Honolulu. https://www.anbpartyrentals.com/Home/other-rentals/ We have everything needed for an awesome movie night under our Hawaiian Skies, Audio Visual Rentals, Sound System Rentals, DVD Players, and Projector Rentals. Rent them all with an Inflatable Movie Screen with us and an attendant is stationed at your event to man all equipment for you complimentary. See our Rock Climbing wall Honolulu. https://www.anbpartyrentals.com/Home/games/ Our Rock Climbing wall – “King of The Mountain,” features a unique look and concept offering a dramatic look for your event and safety with its cushy inflatable platform. Our staff for our rock climb are certified rock climbers, who specialize in Rock Climbing jobs through out the State Of Hawaii, ensuring top safety with our Rock Climb Rental. A & B is the only company in Hawaii with as much unique Party Games Honolulu, and with prices low to satisfy even those with smaller budgets. 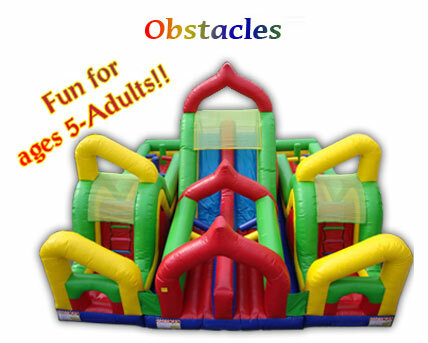 These classic games and Themes for parties, Basketball, Inflatable Baseball Game and Football Games, always a big hit! 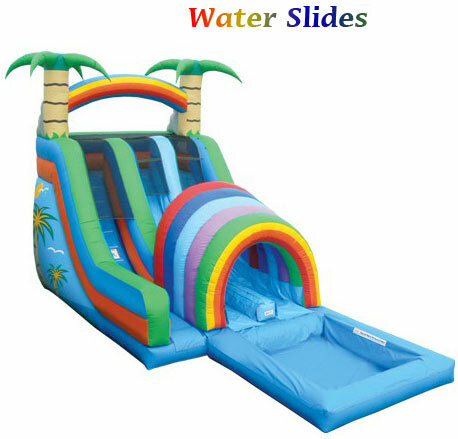 Add on more wowness for your guest with a couple more unique and different games on our site, see them all here: https://www.anbpartyrentals.com/Home/games/ Water Slide Rentals Oahu always a big hit for the kids and adults! We are lucky to enjoy Water Slide Rentals 365 days a year! Our inventory of Water Slides offers great heights, ensuring a nice dip down, but yet, if needed for your back yards, practical width and length so you can enjoy the water fun at backyard parties too! Our purchaser selects slides vibrant in color, unique in design, sure to light up your guest faces when first arriving to your event! There is so much more to mention of what we can offer you. Please browse through our site to see them all. When you are ready to book, click on book a party on our site, or book by phone, phone lines open 7 days a week from 8am-9pm! Aloha and Mahalo for visiting! We offer the highest in quality Party Rentals in Hawaii. We want you to get the best service from us on all your rentals with us, especially for our Bouncer Rentals in Hawaii. Check out our Bouncers page! 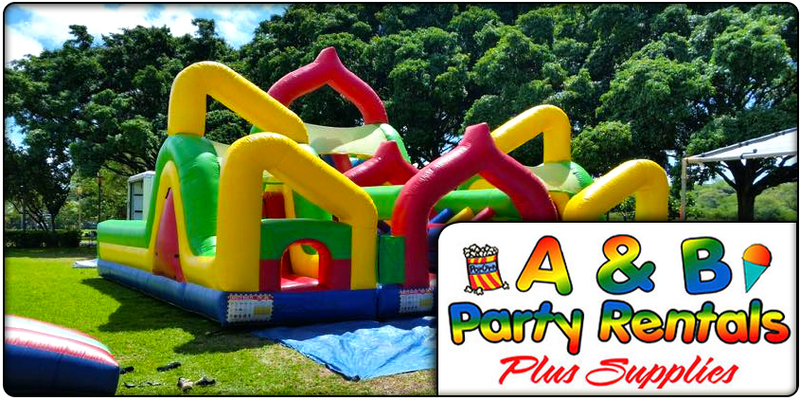 Here at A & B Party Rentals we have a large selection of Bouncer Rentals. We have all your popular themes like Moana Bouncer rental, Mickey Mouse Bouncer Rental, Frozen Bouncer Rental, Pokémon Bouncer Rental and many more! You can even add on lots of other Hawaii Party Supplies to your Bouncer Rental when you are doing your online order with us, we are a compete one stop shop Party Rentals! 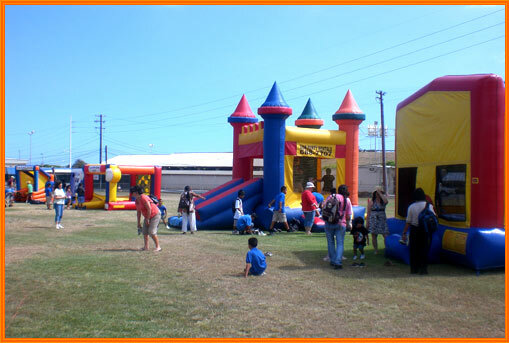 We do Party Rentals, Water Slides, Rock climbing wall, Tent Rentals Honolulu, Bouncer Rentals, Inflatable Movie Screen Rental, and over 100 different items more on all of Oahu, Waianae, Kapolei, Makakilo, Kunia, Wahiawa, Waialua, Haleiwa, Ewa Beach, Waipahu, Pearl City, Aiea, Kalihi, Ala Moana, Waikiki, Kaimuki, Aina Haina, Kahala, Hawaii Kai, Waimanalo, Kailua, Kaneohe, Kualoa, Waiahole, Punaluu, Kaaawa, Laie. Our culture here in Hawaii and where we spend our free time, is gathering and enjoying our friends and Ohana. Make it fun, do something different, with our many different options in our inventory. Depending on your location of your event or garhering, we definitely have something that will be unique and different to suit your area. Enjoy our Party Game Rentals or Water Slide Rentals. Have a fancy movie night with our large Inflatable Movie Screen Rental and Popcorn Machine. Dress up your backyard party and table chair rentals with our spandex table covers, add a bounce house rental to keep the kids occupied. We have many different ideas and options to have something different to entertain your friends and Ohana, let us help you plan! One of our suggested websites is Las Vegas Balloons located in Las Vegas, Nevada, The 9th Island, and offers beautiful balloons displays.